Bastide Oleander is an 18th century stone farmhouse set in secluded grounds of 8 acres with panoramic views south across the Provençal countryside. The house has been beautifully and sympathetically renovated, retaining original features of beams, exposed stone walls and fireplaces. It now combines the charm of an old property with all the modern comforts of a new one, creating a luxurious family house with 5 bedrooms and 4 bathrooms. Outside there are large paved terraces occupying the whole south side, with a 10m x 5m heated swimming pool, a boule court and for dining al fresco there's a large table under a pergola next to the summer kitchen. This is a wonderful area for relaxing, eating and enjoying outdoor living in the special South of France climate. The house is set in the countryside with olive groves and pine forests surrounding it. The pretty market town of Lorgues is 5km away with its many shops, restaurants, street cafés and weekly Provençal market. It's 45 minutes to the nearest beaches to the south and under an hour to Lac St Croix and the Gorges du Verdon to the north. 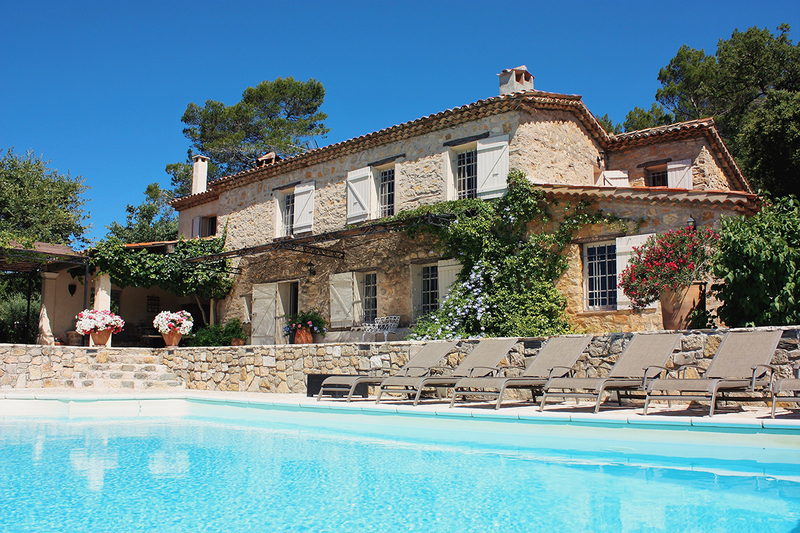 The property offers a perfect location to enjoy a peaceful holiday in an idyllic rural setting and is the ideal base for exploring all that Provence and the Côte d'Azur have to offer. The house would suit a family gathering, two families sharing a holiday and is equally inviting for smaller parties.